Your daily Phil of chart trivia. When I was but a wee little nine-year-old, long before the days of blogging crossed my mine, one of the first songs I ever received on CD was a one-track single of “You’ll Be In My Heart” by Phil Collins. It was during the spring of 1999, and the single had already become a massive hit on the Adult Contemporary survey, then crossing over to some minor spins on the CHR chart. When I began looking beyond current music and back to prior hits beginning in my teens, Collins was one of the first artists whose catalogue I wanted to just dive into. To me, at least at age 14, he could do wrong in my eyes. 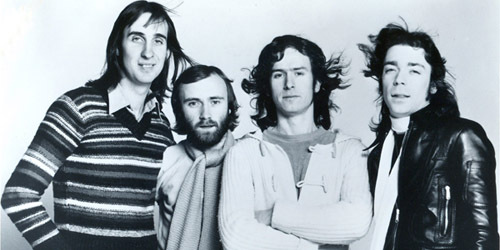 Of course, decades before I even discovered his music, the band Genesis formed in 1967 as a quintet — Collins wouldn’t join until 1970 after a stint in the band Flaming Youth. Although they had some minor success on the album chart, it wasn’t until 1973’s Selling England By The Pound that their sales skyrocketed; the LP peaked at #3 in the U.K. and #70 on the Billboard 200. Concept album The Lamb Lies Down On Broadway in 1974 also did particularly well, but by 1975, original lead singer and founder Peter Gabriel was out, while our dutiful drummer managed to convince the other guys that he was the right choice as the replacement vocalist. He started on 1976’s A Trick Of The Tail and the rest is history. Today (March 12) back in 1977, Genesis made their debut on the Hot 100 with “Your Own Special Way”, which entered at #85. 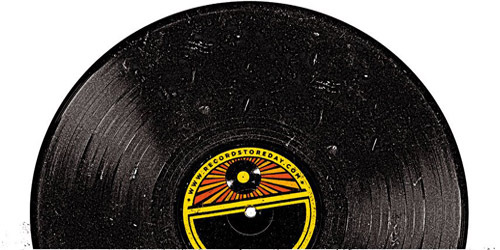 It was issued on Atco, a division of Atlantic Records, which wasn’t nearly as big on the national chart as its parent was then. (They did have some minor success at the time with singles by Boney M and Cody Jameson.) After a month on the survey, it peaked at #62, and quickly fell off. Its run was even more truncated on rival Cashbox, where it peaked at #87 during a three-week run. However, it wasn’t where it placed or how long it placed on the charts for this first single by the band; it was only the start of a much bigger audience and legacy for the act and drummer/singer, Phil Collins. It was only a little over a year later that the band, now a trio, would score their first top 40 hit: “Follow You Follow Me”. The softer sound propelled it to #23. 1980’s Duke gave them a top 20 single (#14) out of “Misunderstanding”, which was also a top 5 radio hit and further solidified their notable shift from an ethereal art rock sound into more of a mainstream rock and pop fashion. With Collins’s solo career taking off beginning in 1981, the trio hit #1 for their one and only time in 1986 with “Invisible Touch”, ironically kicked off the top by former member Peter Gabriel‘s “Sledgehammer”. By the year 1996, Collins left the group, and a 1997 effort with replacement singer Ray Wilson faltered. Collins is set to release a new album this year, and you never know when the band will be touring again, perhaps under a Collins/Gabriel lineup.